Stretching the One Income Dollar: Agoo's Biggest Sale Ever! 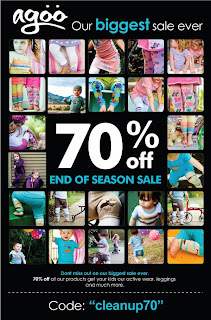 70% Off End of Season Sale! Agoo's Biggest Sale Ever! 70% Off End of Season Sale! Agoo is having their biggest sale ever and they don't want you to miss out! 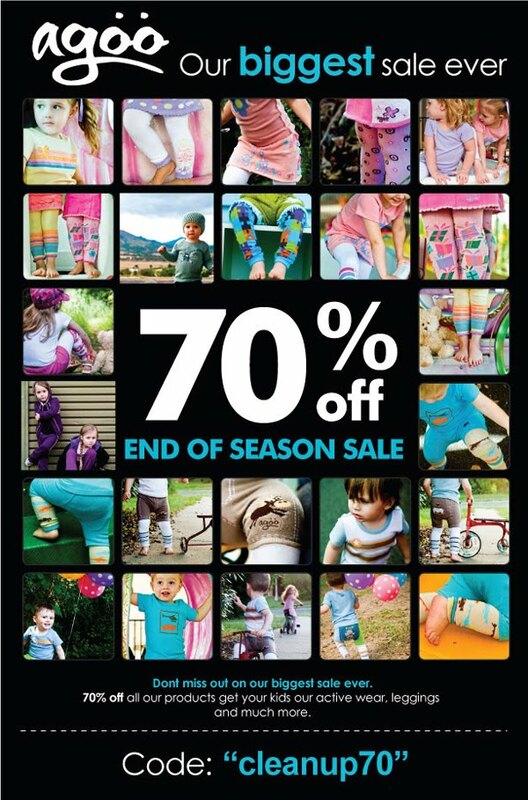 70% off *all their regular priced products! When you check out, you'll want to use coupon code: cleanup70. Now go out and grab this deal for best selection for your little ones!